The people behind BBC Pop Up describe it as a journalism “experiment,” during which a small mobile news bureau visits a different U.S. city every month for six months. When the team arrives in a town — so far they’ve visited Boulder, Colorado, Baton Rouge, Louisiana, and Pittsburgh, Pennsylvania — they hold a meeting for members of the community to share what they believe are the most important stories to cover. While stationed in each town, the BBC Pop Up team holds classes for students in university journalism programs. 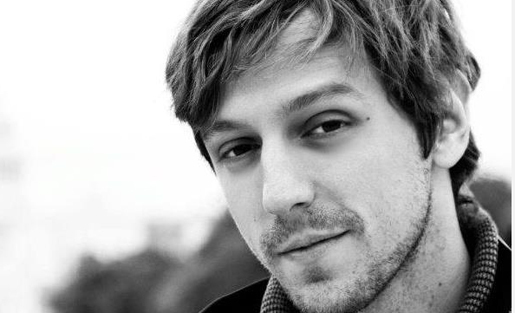 Matt Danzico, the head of the BBC Video Innovation Lab, and Benjamin Zand, a BBC filmmaker, formerly of BBC Trending, are the two primary journalists behind the project. I spoke to Danzico over the phone from the robotics laboratory at Carnegie Mellon University in Pittsburgh about the goals behind BBC Pop Up, how community suggestions lead to different stories, and the attitudes and expectations of contemporary journalism students. What are the goals of BBC Pop Up and why do you consider it an experiment? Matt Danzico: A year and a half ago Ben and I were tasked with thinking about the future of video for the company. What happens when the World Wide Web ceases to exist? What does BBC Video become, where does it go? 60 percent of people in the U.S. are using smart phones to use the Internet, and only 14 percent of that is done by mobile browser. The web is dying, television is long gone, so our job is to figure out where people are going. Internet use is like a billion times more than it was ten years ago. If that’s true, and no one is using the web, then where are they going? The New Yorks, Tokyos, and Mexico Cities of the Internet have been developed and they’re called Reddit, Instagram, and Twitter. We want to create content from within these digital communities in the same way that we create stories from physical locations. BBC Pop Up is merely one project that the BBC Video Innovation Lab has created, [including] an automated SubReddit, live-streaming Reddit TV channels, Instagram news video accounts, and BBC Trending, a program that covers the whole of the Internet. Of these programs, 50 percent of them fail, and 50 percent succeed. We really embrace our failures because we learn from them. We’re basically an experimental lab that tries out new types of programming to see if audiences like it. We even tailor the design of our programming based on audiences’ suggestions. For instance, we have an Instagram news channel that has 100,000 users. [The journalist who runs it] took people’s suggestions in the comments section and he constantly is redesigning it around what people want to see. 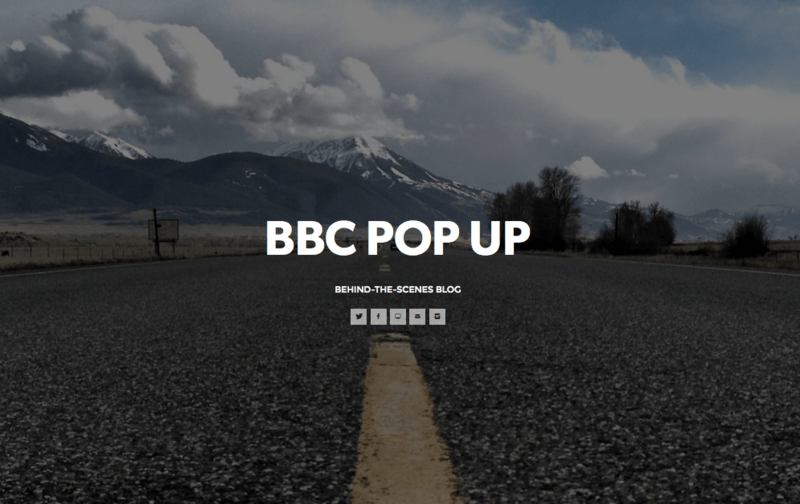 BBC Pop Up is an experiment at creating the BBC’s first mobile bureau. We wanted to flip the idea of how journalists found stories on its head. We wanted to crowdsource our ideas, and base our stories on people’s suggestions from within the communities we’re visiting. Instead of assuming that I know what’s best for a community when I go in, we’re asking people what they want to tell the world about. We’re trying to act as conduits through which the community can tell their stories. How are the stories you cover different because you’re intending them for mobile devices? Danzico: For BBC Pop Up we’ve put aside the idea of creating content just for these digital spaces, but we use social more than BBC ever has. I just tweeted, “We’re filming a story on Saturday at 9 o’clock, why don’t you come out?” We’re using these platforms to physically engage with people. We’re putting other content directly on Twitter, Instagram, also on the web and television. You ask people what stories to cover, you film the stories, and then you promote the finished product, which is a different role than journalists have traditionally taken. Also, usually when you ask people what they want, they tell you they want substantive stories, but what they actually click on tends to be pictures of Kim Kardashian. It seems like people are giving you substantive ideas—are they then following up and clicking on the content? Danzico: When we arrive at a location we hold a community meet up and a hundred people from the town come out and tell us what they want to hear a story about. We just held one at Carnegie Mellon University. People recommended, for instance, that we investigate air quality. We’re finding that these stories actually do get clicked on because we’re on the ground generating hype about them. We’re talking to 50 people per day about what we’re doing. We’re doing a whistle stop tour to a certain extent. Simultaneously, so many people in these towns have interest in the stories that are recommended that people in the geographic regions we’re in are clicking on the story. Because we’re generating hype and we’re doing stories that they want to see, we’re seeing these communities turn toward our content on the BBC. Beyond that, we want these stories to be relevant to a global audience. We’re still not entirely sure if we hit it every single time, but we want to tell local stories to a global audience. We want these issues to be pertinent to the wider human experience. In a press release, you said you picked Boulder to start with because it’s “situated in a swing state that has become a battleground for nationally contested issues from the legalization of marijuana to gun control.” But instead, you ended up covering campus sexual assaults and the flood of 2013. This flood damaged my house and we’re still trying to rebuild, more than a year later. The flood has had a far greater impact on my life than the legalization of marijuana or the fact that Colorado is a swing state, but those are the stories the media tends to cover when they visit here. Why does the media fixate on things that people don’t care about? Danzico: I said that in a press release written before we arrived, and then we didn’t do any of those stories. What you said is exactly why we didn’t do those stories — when we got there, nobody was concerned with them. That was us shedding our old journalism skin and trying to shake off this idea of us projecting onto a community what we think is important there rather than listening to them. When we spoke to people in Boulder, nobody in the entire community cared about the legalization of marijuana. Maybe one person cared. When we brought it up, people looked upset that we even mentioned it. It’s a non-issue. But countless people expressed interest in the flood and in each story we did. The impact of a natural disaster might go on for years, but in general the media seems only to be interested in it when it first happens. Danzico: You’re one of these people living with the lasting effects of the floods ravaging the region. You know what it’s like to be hit with a devastating natural disaster—it just doesn’t go away when the media goes away. That’s why we’re doing these stories. People in South Africa, Pakistan, or Japan who might see these stories about the town of Boulder, Colorado, maybe didn’t even know that there was a flood there last year. But certainly they have seen large disasters where media comes in, generates a lot of hype about the problem and then leaves and the issue just lingers in their town. Certainly that’s speaking more toward the human experience than the legalization of marijuana. The standard thinking is that the better a reporter knows a certain town or state, the better they are able to understand the local issues and generate stories that matter. But is it possible that the journalists with BBC Pop Up are getting a fresher take on these different areas than would media who are permanently stationed there? I think it’s a mixture. That’s why we’re in each place for a month. We want to get to know the community, but not too well. We want to engage with everyone but still retain those outside eyes that allow you to realize how beautiful a place is, or how significant the problems that they’re dealing with are. For instance, Pittsburgh is one of the most striking cities I’ve ever been to in America. I’m from Pennsylvania and nobody ever told me that. Why is that? It looks like something out of a Tim Burton movie with unbelievably old industrial buildings and more than 700 bridges, more than Venice. I grew up in the state, and no one ever told me because it’s become part of their routine. We still need to be able to see the city for what it is, but to know what’s happening on the ground and what people are talking about. That’s what these community meet ups are so important. How Do American Stories Appeal to a Global Audience? You said part of the goal with this was to find stories that interest a global audience. I can understand the global appeal of a story such as “Soccer in the USA,” but what aspects of other stories—such as the one on a poor and crime-ridden neighborhood in Baton Rouge (“Zip Code 70805”), or the residents of an island in the Louisiana bayou that’s disappearing into the sea (“Drowning Slowly”)—interest a global audience? Danzico: It’s similar to the flood story, actually. Let’s take the bayou story. Some people know what it means to lose a home, to lose a sense of place. That’s why we didn’t touch that much on the environmental issues behind why these people are losing their home. They’re losing their French heritage, their language, and they’re losing their homes. The story was done by one of the rotating journalists, and she did a really good job, but I think we could have used a bit more about what was actually happening, how the environment was being shaped by these industries. Just so somebody across the world would know what’s going on? Danzico: Yes, exactly. The human story is behind these issues that we’re looking for. We’re far more filmmakers than we are your ordinary journalists. We’re looking to talk about emotional lives and a sense of place. Is the Idea of a Future Career As a Print Journalist “Insane”? Part of the BBC Pop Up project involves outreach to local journalism schools and classes and workshops for journalism students. According the annual American Society of Newspaper Editors survey, in 2012 the number of full-time newsroom jobs slipped to 38,000, the lowest number since the society began counting in 1978. What are today’s journalism students like, what are their professors teaching them, and what kind of careers are they contemplating? Danzico: Their expectations are realistic. I don’t know if all academia’s expectations are realistic. Magazine journalism programs and concentrations in writing for print still exist. That’s insane. The idea that you would graduate from college and just know about print—that’s completely illogical. You need to know how to shoot videos, how to do radio packages, how to write, and how to create the platforms on which you’re placing your content. The students grasp this better than the institutions themselves, because they are digital natives, and the people that govern these institutions are not natives. Some of these students are so good that it’s scary. Ben and I were talking about how absurdly passionate some of these journalism students are. The program at LSU is absolutely incredible. I was blown away by the quality of the journalism students at the LSU Manship School. I’m very D.I.Y.—I learned to be a journalist by watching YouTube videos. These guys are so good already, they’re quickly approaching the level that we’re at. I just think that they understand that they have to be everything in journalism. Their expectations are realistic. Define journalism. Is journalism creating databases for the free flow of information on the Internet? If you created a more data-centric Craigslist, could that be journalism? The definition of journalism is completely getting right-hooked. I think the students are quite knowledgeable about that. They understand that the environment they’re going into is completely different. There’s no way that any of them are going to just become magazine journalists and not have to deal with the onslaught of what it means to exist in the digital age. LSU was really good. I question whether academic institutions and journalism programs in the country know this as well as their students do. Going along with this, you seem to be making a real effort to show people how you chose and made these stories—with coverage of the town hall events and a tumblr that explains the decisions. Why did you decide to show so much of the process of journalism? It’s more documentation for us than anybody else. We don’t have anything to hide because we work for the BBC. It’s really is a great institution to work for as a journalist. You don’t feel threatened by the company ever. They’re willing to experiment. We wanted to document it so if it does fail, we can see what went wrong. We want to create the most open-source version of the project that we could possibly create. We want media professionals to look at it. We don’t have some secret agenda. We’re not even sure what we’re doing. This is an experiment. We’re hoping to push the boundaries of what journalism can be. I don’t see why media companies are so secretive. We’re not doing anything evil that I know of. Does BBC plan to continue this project past the original six months? Danzico: BBC seems interested to continue it past the six-month mark. I’m not sure having a mobile bureau that relocates every single month was the greatest idea. It’s actually quite taxing. So one month on, one month off is the plan. I would do that for years. It’s been more hard work than I’ve ever done in my entire life. It’s from the moment you wake up to moment you go to sleep, six days per week at the very least. I think the BBC is interested in doing this. The question becomes, when do we do it? Do we do it in markets we want to grow? Do we do it during election season? Is it something that just continues permanently? All these answers and more will be rehashed when we’re done. Correction: This story has been altered to correct Benjamin Zand‘s title in the second paragraph. Jenny Shank‘s novel, The Ringer, won the High Plains Book Award. Her stories, essays, satire and reviews have appeared in The Guardian, TheAtlantic.com, McSweeney’s, and the Dallas Morning News.